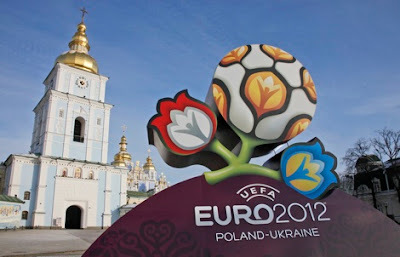 LONDON, England -- New stadiums for the Euro 2012 soccer tournament in Ukraine cost double those in co-host Poland as the former Soviet republic overtook Togo, Uganda and Tajikistan in a ranking of corruption. The CHART OF THE DAY compares Transparency International’s gauge of perceived corruption with the cost per seat of building and renovating venues for the June competition in the two countries. It also shows measures for South Africa, site of the 2010 World Cup, and Brazil, host of the 2014 competition. “It’s not surprising to expect significant abuse of power, embezzlement and corruption in public procurement, which can include financing of public infrastructure, such as stadiums,” Olga Savran, manager of the Organization for Economic Cooperation and Development’s Anti-Corruption Network for eastern Europe, said in a May 16 e-mail. Since Viktor Yanukovych took over as Ukraine’s president in 2010, the country has slipped to 152nd from 134th in Transparency International’s Corruption Perceptions Index where a lower rank indicates higher perceived corruption. Yuriy Hromnytskyi, a spokesman for Borys Kolesnikov, the deputy prime minister responsible for Euro 2012 preparations, didn’t answer five calls to his office and mobile phones or a written request for comment. The government agency managing the tournament project didn’t respond to a written inquiry. Officials, including European Commission President Jose Manuel Barroso, have pledged to skip matches in protest at the imprisonment of opposition leader Yulia Tymoshenko.